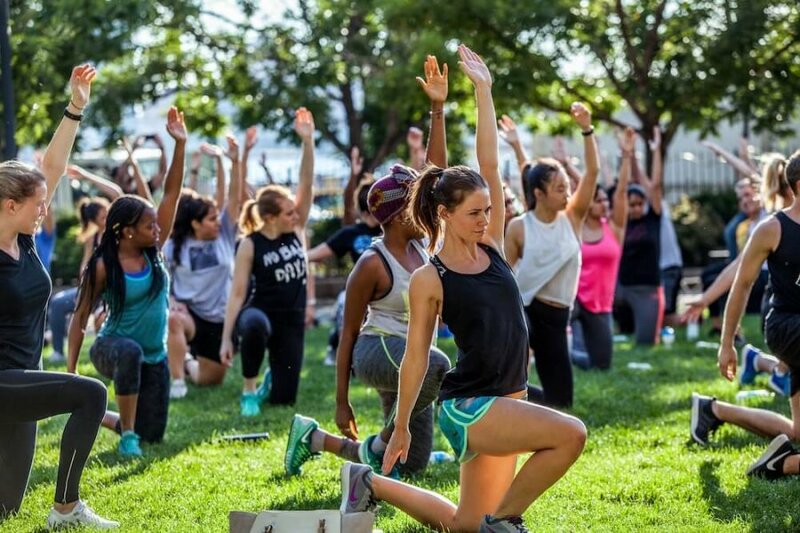 Join us and The Wellth Collective for a fun al fresco fitness series consisting of three free 45-minute classes at 6pm, 7pm and 8pm nearly every Tuesday night from May through August. Classes will consist a variety of modalities including yoga, bootcamp, dance cardio, boxing technique, pilates and more. The Sweat Sessions will take place at Hudson River Park’s 14th Street Park, located on 10th Avenue between 14th and 15th streets. 8pm – No 8pm class. It gets too dark. No Cool Down at Samsung837 this week. Afterwards, join us at lululemon for complimentary sips + bites. Cool down at Samsung 837, the brand’s technology playground and cultural destination. Enjoy complimentary healthy bites + hydrating sips from local businesses after select sweat sessions. You’ll be welcomed to explore this flagship experience center, which features Samsung’s state-of-the-art technology and services, and highlights how they can enhance and amplify everyday experiences.